For a few months now, my oldest son has been having keyboard lessons. Although he really seems to enjoy his lessons, it does seem to be quite slow going and I do sometimes wonder if it's worth it! Therefore I was really interested to hear about Decplay - a new piano tuition method and form of musical notation that lessens the time taken to learn to play the piano. Decplay have a mission to engage 1 million people and get everyone playing! The method was devised by Declan Cosgrove who is a classically trained pianist. Declan believes the traditional way of teaching and the focus on prescribing each note and rhythm, restricts some people's natural creativity, delays the point at which the student feels a sense of achievement and contributes to the huge number of people who stop learning before they can play to a level that gives them and others enjoyment. The method is ideally suited to popular music (as well as classical) and uses numbers and patterns to produce amazing results incredibly quickly. 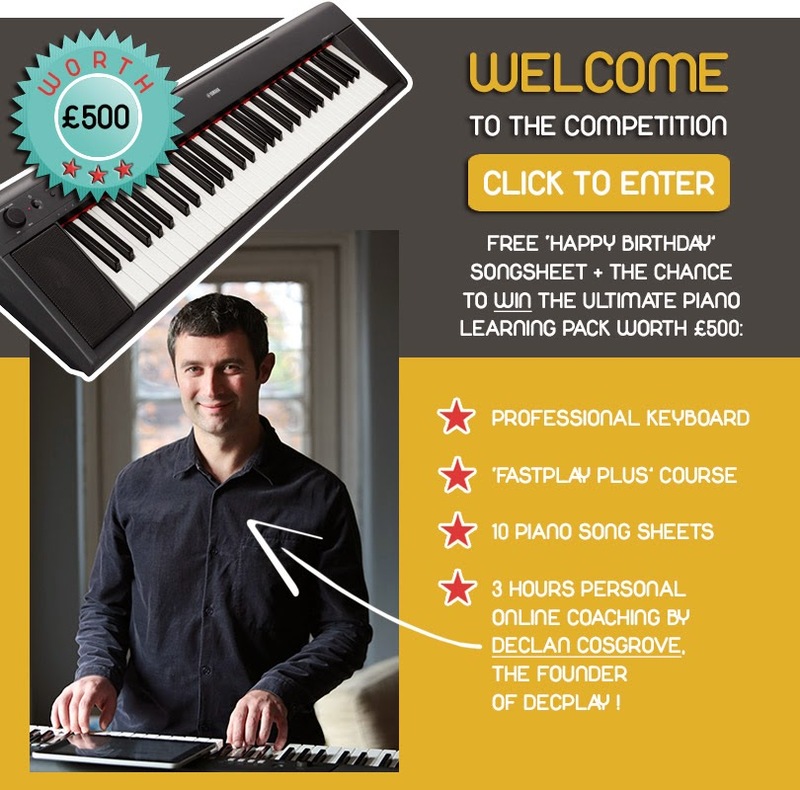 If you're interested you can click on the Decplay facebook page and go to their competition tab to get your free song sheet and the chance to win a £500 piano learning prize which includes a keyboard, FastPlay+ course, Song sheet pack and 3 hours online coaching! The closing date is Monday 31st March 2014.